Jon had been at the firm for a little more than two months when he realized the time had come for that dreaded conversation. He had been pushing it off and pushing it off, but it was now early September and he simply couldn't push it off any more. So he summoned his last bit of courage, steeled himself, and headed down the hall to the office of Mr. Jones, his boss. Jon knocked on the door, Mr. Jones let him in, and despite researsing the lines in his head innumerable times, Jon found himself fumbling for words. So...you see...well...you know how much I love being at this firm and how seriously I take my work...and you know the whole Jewish thing...and the yarmulka...and you know how you let me leave a little early on Fridays as long as my work is getting done...well...so...it's September and we have the Jewish holidays coming up...and so, you know there really isn't anything I can do about it...so I'm going to need a few days off. No problem. I understand...so, exactly how many days are we talking about? Well...let's see... there are two days of Rosh Hashanah next week...and then there's one day of Yom Kippur the following week, but I may have to leave a little early the day before...and then the next week there are two days of Sukkos and then the week after that there is...well...let's just call that Sukkos too..so...I guess...um...that's seven days? Seven days!? Over how many weeks? Though his anger was written all over his face, there wasn't much Mr. Jones could say without worrying about a lawsuit and so he offered a begruding "OK" and Jon headed back to his office unnerved by the tepid response, but relieved to have the conversation behind him. A few minutes later there was a knock at the door. It was Mr. Jones. Fine, Mr. Jones. How are you? Good...so I just happened to be talking to Bob from down the hall. Do you know Bob? Bob is very Jewish. He bring me those triangle cookies every March and he's really carefull about what he eats for all of Passover and so I was asking him about these holidays coming up and...it's funny...he said those holidays that you said are two days really only have to be observed for one day, so, I was wonering, why exactly do you have to celebrate them for two days? Some version of this encounter plays itself out in places of work and on college campuses throughout the Diaspora each and every year. 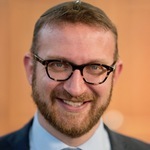 And, while we muster a response of some sort that helps the questioner understand that this practice differs across different denominations of Judaism, I have found that within our own Orthodox communities we often struggle to fully articulate why other denominations have reverted to one day and why we continue to observe two. Therefore, at last night's Kohelet Yeshiva Beit Midrash Tikkun Leil Hoshanah Rabbah program at our home, we took some time to delve into the sources and explore the reasons behind the differing practices in the broader Jewish community as well as the legal and spiritual reasons that animate our own approach. You can listen to a recording of the shiur here (download it or open it with Music Player for Google Drive), and the source sheets can be found here.